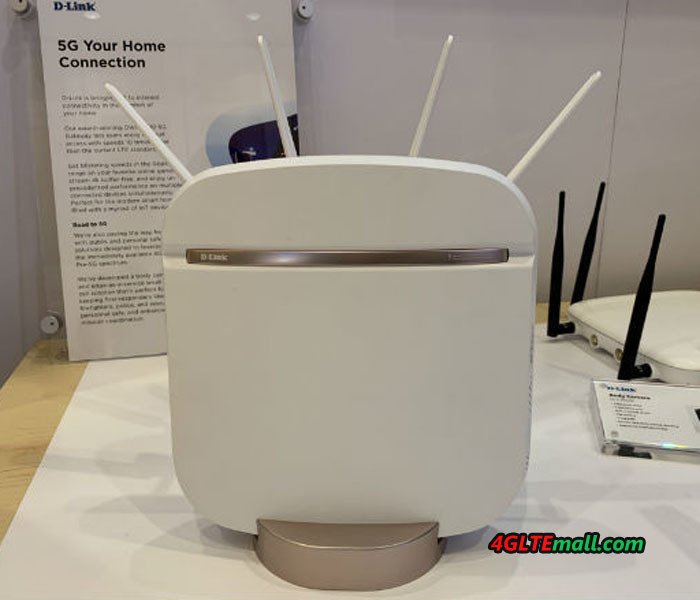 At the Consumer Electronics Show 2019 in Las Vegas, D-Link announced a new 5G NR Enhanced Router named DWR-2010. With nothing more than wall power and a SIM card, the router promises to create a high-speed Wi-Fi network in your home, according to the official sayings, the DWR-2010 5G NR Router enables download speeds more than 40x faster than current average fixed broadband download speed in the U.S. of 70Mbps. Based on Qualcomm’s SDX55 chipset, the D-Link DWR-2010 5G Enhanced Gateway is capable of transmitting standards-compliant 5G data through either millimeter wave or sub-6GHz towers, the former currently available in a handful of U.S. cities and the latter planned for wider deployment in 2019 and 2020. 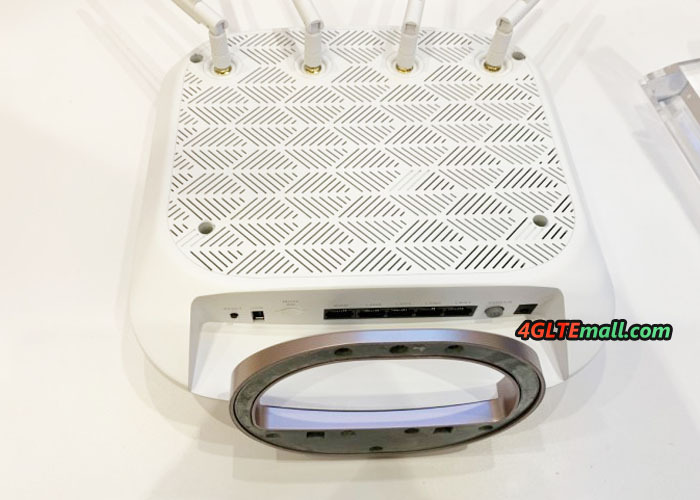 Four of its antennas pick up 5G signals, falling back to LTE when 5G’s not available, and the unit also supports voice over LTE (VoLTE) for traditional phone calling. 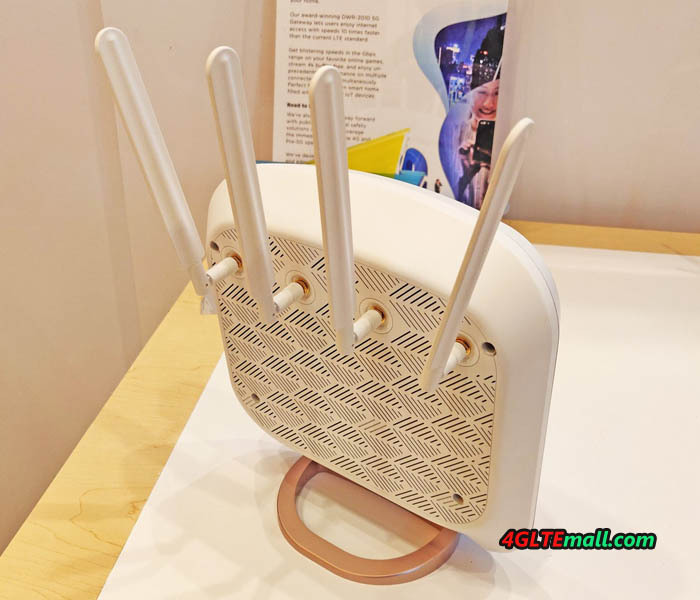 Like a traditional Wi-Fi router, the 5G NR Router enables users to access data either through Wi-Fi connections or Ethernet ports, starting here with a 2.5Gbps LAN, a 1Gbps WAN/LAN, and three 1Gbps LAN ports. The Wi-Fi 5 (802.11ac) support is practical — given today’s devices — but a generation old, offering an 800Mbps connection on one band plus 1.7 Gbps of bandwidth on another. It’s worth noting that faster Wi-Fi 6 routers are already being announced ahead of this month’s CES trade show, though no consumer devices — computers, tablets, or smartphones — include the chips necessary to use them. A secondary selling point for the router is speed. The DWR-2010 5G Gateway’s bandwidth promises to stream 4K video content with ease and to support “little to zero lag” in online gaming. This sort of reduced latency is a key feature of 5G networks and is expected to enable both ultra-high resolution videos and instantly responsive immersive 3D/VR streaming. 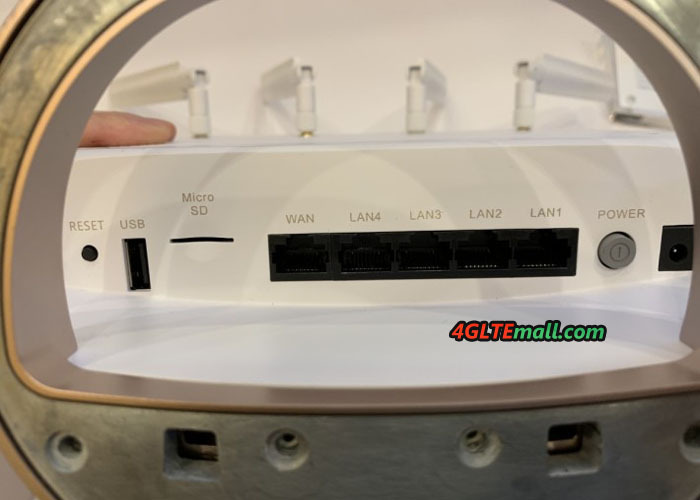 The DWR-2010 5G NR Router is scheduled for release in the second half of 2019 and doesn’t yet have a price tag. By the time it’s released, multiple carriers will hopefully have affordable 5G data plans capable of making the most of its features.